Does this mean we're having a party in the thread now? spikes the left bowl of lemonade and sets out half a shelf of clearance chocolate hearts, a fruit salad for the healthy-minded and quesadillas in honour of Mexico's day of friendship. The old joke is that we have more fun because we do it without shorts. The lion and I would both like to know... where's the beef? Bradford, I don't think I've seen a more ridiculous paragraph on these forums, so you have indeed participated in and won a special honor in the competitive arena you are so fond of. At 5 years old, children don't have the self-possession and skills needed to cope with severe rejection -- skills you are claiming you had at that age (unless they are psychopaths). I can only assume you are projecting back from your present self and imagining your younger self would be the same then as you are now. I really wouldn't mind if you want to go about your life in such delusion, but you are using this malarkey to accuse Bitsy of playing the victim and assigning blame to her for not having the wherewithal to choose wisely -- painting her as somehow deficient. Perhaps if you put down the phone you mentioned and actually read a few books on child development you could understand that children are not mini-adults as most believed them to be in the middle ages. I suggest reading a few books on trauma as well, as it's obvious you have no clue how foisting too much on children before they are ready harms them. Nah, I've seen fast more ridiculous but I'm truly honoured if not even to say somewhat flattered that you thought my effort was worthy of an award. Let me look. I'm sure there's a barbeque in my inventory somewhere. We had one of the deck of our first house. Except it didn't have a cooking animation and we didn't know how to add one. If you tried to use it, you'd end up sitting on it, grilling your buns. It changed more than 50 years ago. Before I was even born. Do keep up. No it didn't. At least not here in the UK, and I seriously doubt that it changed anywhere else, including where you live. Did you hear about the electrician's daughter? None of the boys could resistor. A Borg would enjoy that joke. 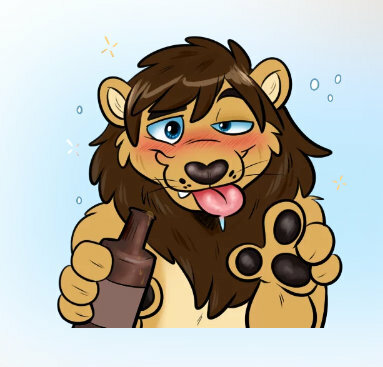 Keto Lion is sugar drunk! Yeah, there was also the well known Welsh Electronic Engineer who wrote poetry. His name was Di Ode. But could any of them inductor? Doubt all you want. I was there. You were not. No﻿ it didn't. At least not here in the UK, and I seriously doubt that it changed anywhere else, including where ﻿you live. Alright. It changed where you live - that's the only place where you were - but not in the rest of the world. So, of course, you weren't there. On second thoughts, it didn't even change where you live. You are wrong. The tradition might have changed in a school or schools where you live, but not in the town where you live, and that's much bigger. The tradition in the town hasn't changed at all. Note that I am not saying that 'all give all a card so that nobody is special to anyone' didn't and doesn't happen. I'm saying that the tradition of the romantic giving of Valentine cards has not changed - anywhere - including where you live. I suspect that you haven't understood this bit of the conversation. I went for a walk with my neighbor this morning, and asked her about her V-Day classroom experiences as a child in Illinois. She recalled everybody in her classroom anonymously giving cards to everyone else. The kids were encouraged to mention something they liked about each card's recipient, reminiscent of Pamela's wonderful approach. Half of the fun for her was trying to figure out who'd sent each card. When we returned to her house, I asked her hubby the same question. Same story, except with no encouragement to personalize the cards. Nevertheless some were. They are both nearing 70. Although I was home schooled, my childhood friends participated in the same sort of V-Day card exchanges. My understanding of midwest US classroom V-Day celebrations over 60+ years matches yours. I grew up in a world where magical things happened, suggesting my presence was appreciated. There was a cardboard door very low on the wall in my bedroom, which opened to reveal a tiny nook where I exchanged gifts with the monsters that lurked just on the other side. If I gave them candy, they'd give me lint balls or rusty nails. If I gave them junk, they'd make beautiful things from it. Half the fun was working out the conversation underlying the exchange. When I moved back home after my divorce, the monsters were still there and ready to barter. You can imagine our family's excitement attending the opening night of Pixar's "Monster's Inc."
And so I learned to show appreciation anonymously, or at least oddly. In my world, a neighbor might wake on a snowy winter morning to find a snowman blocking their driveway. The only way to get to work would be by running over it. Things that break in yards sometimes repair themselves, and cookies, often absurdly decorated, mysteriously appear in mailboxes. All the deer crossing signs in my neighborhood have reflective red noses. As I got older, my efforts became more sinister. If I knew two friends were sweet on each other, I'd hang V-Day hearts in each of their yards, made in different ways so there would be no suspicion that one person made them both. I don't recall evidence my efforts ever sparked wonder, but I choose to imagine they did. When I learned that Dad and our neighbor Walt were fond of pranking each other, I began to prank them both in a way that made them suspect each other. I cemented that suspicion by trying to claim credit for the mischief myself. I have never and will never own up to any of this because the joy I get from creating mystery is more than sufficient and I don't have to awkwardly accept thanks (or reprimands) for what I do. There is a picture frame on the wall of my dinette, built to easily exchange 8x12 prints from my inkjet printer. When I have company over, I try to mount a print that has some relevance, like the snapshot of my neighbor trying to free his baby lawn tractor from a muddy culvert just moments before I pulled him out with my big girl tractor. I hope he believes that photograph has been hanging on my wall for years. The neighbor I walked with this morning has been the recipient of countless bits of magic, most of which have gone unnoticed. She's not shy about asking for my help to repair something around her house and, because I really do have difficulty with accepting compliments and thanks, I find it overall easier to spot problems before she does and silently repair them. This also saves me from becoming known as "the fix-it lady" which I've always imagined would spiral out of control... as if it hasn't already. I am my own worst enemy. It's nice to feel that somebody loves you, and nice to give someone that feeling. My, what tangled webs you weave. And resorting to insulting the other person's intelligence in an effort to cast doubt. Sorry. I don't play that game either. I didn't think you'd accept the truth, but that's what I've written. I haven't woven any webs. You simply didn't understand the perfectly simple conversation that you chose to get involved in. Still, I see that you're opting out now, so I'll do the same. Everyone should have a neighbor like you. Preferably a next door neighbor. I still want to park my mobile home next to your barn. I didn't think you'd accept the truth, but that's what I've written. I'll tell you what, Luna. Instead of posting a laugh icon on my post, and writing a post that simply laughs at me, how about you tell me what I wrote that you think wasn't true - what you were laughing at - eh? Would you do that for me please? It would be so much better for you than posting mere emotions without any sort of explanation, because, without an explanation, people will naturally think that you don't actually have one, and that you just wanted to be objectionable for the sake of it. After all, this is a forum, and people do disagree with people, but we say what we disagree with and why we disagree with it. That's what happens in forums. Answering just for myself (I did not laugh), is it ok if we disagree? Or is that not allowed? It's always ok to disagree. You know that. Most discussions have some disagreements in them.